Virtual desktop infrastructure (VDI) frees IT departments and users from the limitations of traditional client-based desktop and application IT management. IT organizations use VDI to more easily manage desktops, support remote users, and bring-your-own-device (BYOD) policies. Employees and contractors use VDI to securely access corporate desktops and applications from any connected device, including thin clients, personal laptops, or mobile devices. Tens of thousands of enterprise IT organizations rely on Citrix XenDesktop and Citrix XenApp for application and desktop virtualization. The foundation of Citrix VDI solutions is the Citrix Independent Computing Architecture (ICA) protocol, developed by Citrix to optimize the efficiency of application and desktop virtualization, and supported by traditional thin clients or newer universal clients such as Citrix Receiver. To optimize virtual desktop and application delivery, the Citrix ICA protocol transforms interactions between the client and server into a bitstream of pixels and clicks. Because of the opacity introduced by the ICA protocol, traditional application performance management (APM) tools cannot monitor user activity or the performance of the Citrix infrastructure. Existing Citrix monitoring tools require IT teams to install and maintain burdensome agents on thin clients or other client devices. These agent-based Citrix monitoring tools scrape data from event logs, but do not provide real-time specifics about user activity for both XenDesktop and XenApp. The ExtraHop Citrix ICA Module provides an unprecedented level of visibility into end-user and infrastructure performance for Citrix XenDesktop and XenApp. Developed with collaboration from Citrix, the ExtraHop Citrix ICA Module is built to take full advantage of the most up-to-date ICA protocol specification and is verified as Citrix Ready for both XenDesktop and XenApp. The most scalable ICA monitoring solution available, the ExtraHop platform performs comprehensive, deterministic, and real-time analysis for ICA transactions, including CGP-encoded traffic. Best of all, the ExtraHop platform can provide this level of visibility immediately out of the box—without requiring IT teams to install any instrumentation on Citrix servers or desktops. Leading companies in the healthcare and financial-services industries use the ExtraHop platform to achieve real-time ICA monitoring in large Citrix VDI environments without the complexities and burdens of agents. 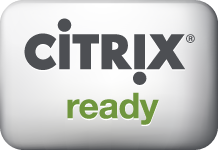 The ExtraHop platform supports Citrix VDI deployments. Download the solution brief to learn more. Real-time analysis of every ICA and CGP transaction helps IT teams solve Citrix monitoring challenges, especially for end-user experience. By detecting end-user slowdowns within seconds, the ExtraHop platform equips IT teams with the metrics they need to dig deep into Citrix-specific issues, such as slow logins and load times. Because the ExtraHop platform analyzes all transactions passing over the network in real time, IT teams can correlate front-end Citrix behavior with specific activity in the backend infrastructure—including the network, web, database, and storage tiers. ExtraHop has built an elegant, agentless solution for monitoring the performance of our desktop virtualization solutions to track end-user performance and tie that activity back to the underlying infrastructure. This solution has the potential to address a real pain point for large desktop virtualization deployments.